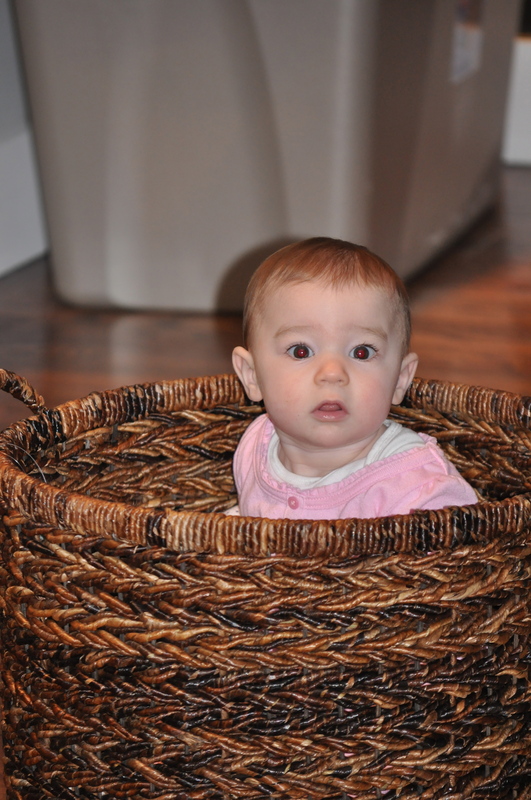 "Oooh I'm in a basket!" 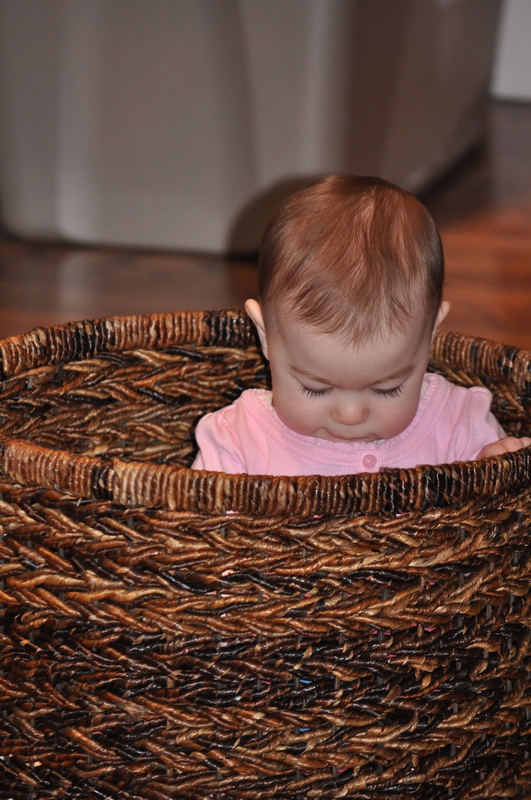 "What can I find in here"
This is our new basket for our living room. 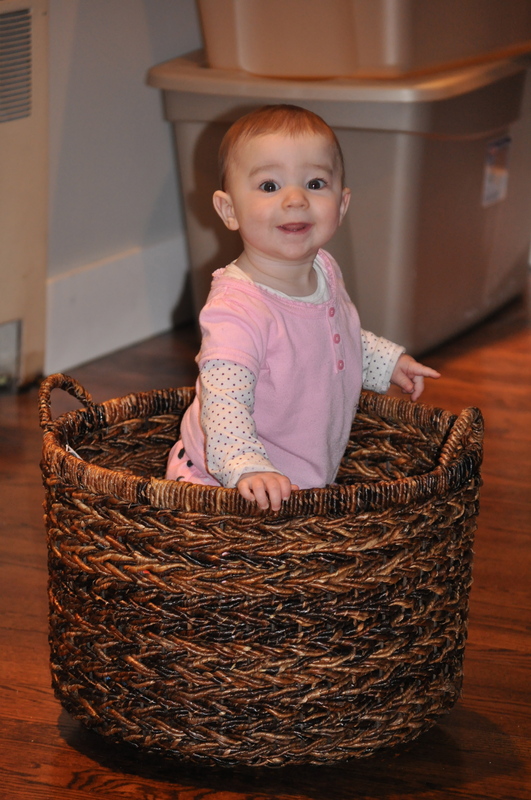 It’s intended to hold on to our things like throw blankets, toys, remotes….but A’s way cuter in it than any of those things! That face!!! She looks more an more like you!